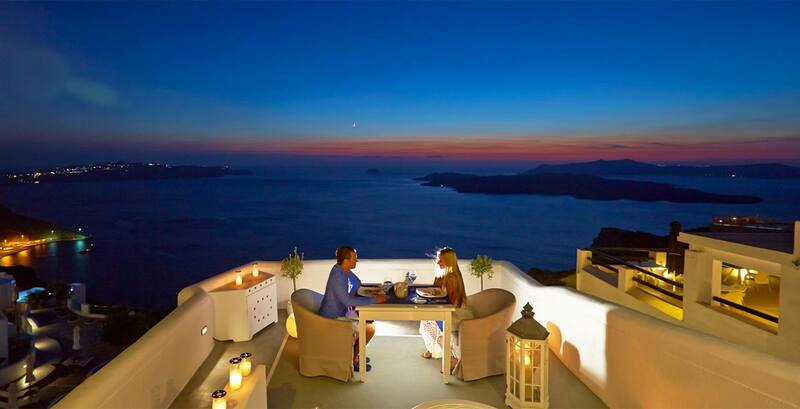 What can be better for a romantic dinner than eating out in a restaurant while looking on a beautiful view? In this article we will cover a list of restaurants with amazing views around the world, including a brief description about each place. Asiate restaurant offers a unique dining experience, it is a modern American cuisine, with high quality service. The restaurant has a large list of wines and a view of New York, a great place for a romantic evening. Caldera Restaurant offers a unique view to the Aegean Sea, it’s the perfect place for a romantic dinner with a bottle of wine, it is located in the Volcano View hotel. Dasheene Restaurant is located right between the great mountains, for this restaurant we’ve found a short video that shows the amazing view this place has to offer. 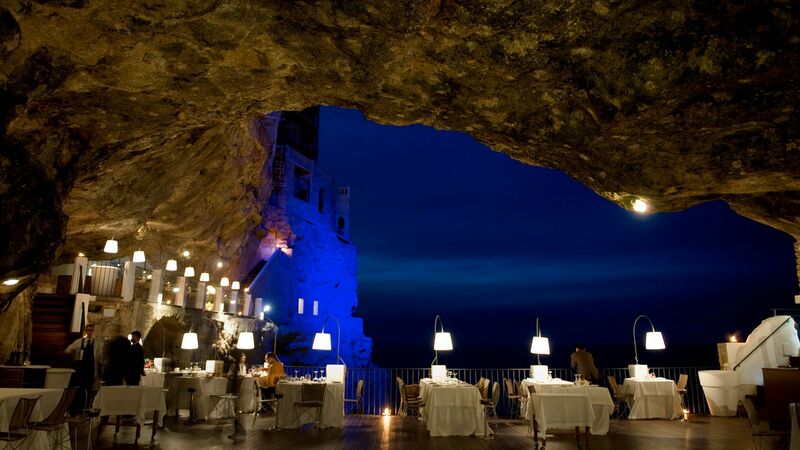 Grotta Palazzese Restaurant is definitely one of the most beautiful places to eat around the world, check out the view of this place in the image below. Here we have another video for you, Ithaa restaurant is located under the sea and offers a special dining experience of the modern cuisine, with fishes swimming all around. 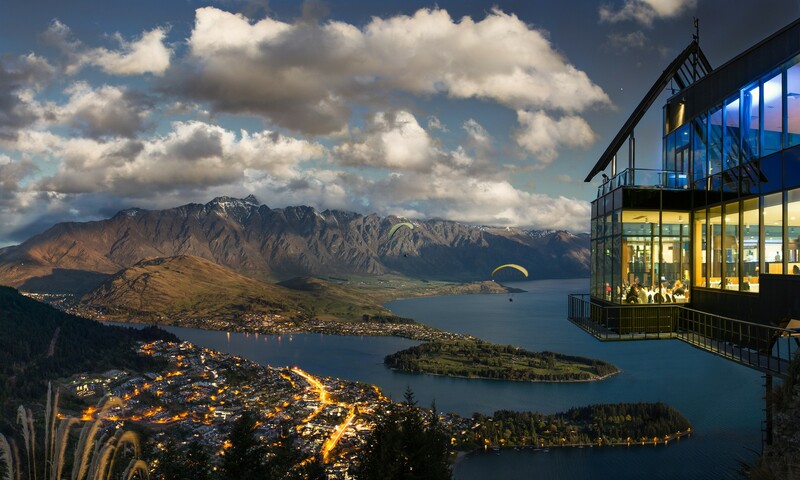 Skyline Restaurant offers the amazing view of Queenstown, the place is located very high above the ground, and therefore the view is almost like from a plane. 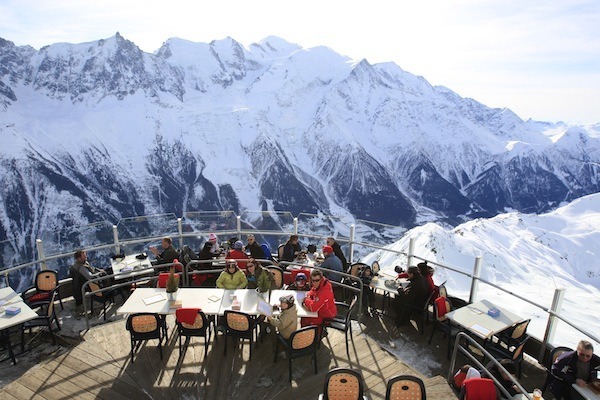 This French Restaurant provides a “cold atmosphere” but a beautiful one, right on the snowy mountains of Chamonix. 360 Restaurant is a rounded restaurant, which offers a view of 360 degrees, of the astounding city – Toronto, Canada. One of the most beautiful restaurants and views in Barcelona is at the Torre d’Alta Mar, check this video to see what it’s all about. This are a few of the most amazing places to eat with a beautiful view, based on a YouTube video by V-Talk, here you can view the original video with the full list.